Join the Facebook group for news, information and a few things that didn't make it into the book. The 23 page index is a free download. Find it in the Facebook group "files" section. No need to look through the back of the book for something. The PDF file is searchable. Hundreds of Original Illustrations and New Bonus Materials. Over 1,050 Pre-Hollywood Films & 1,000+ Stereopticon Slides & Sets Fully Indexed. 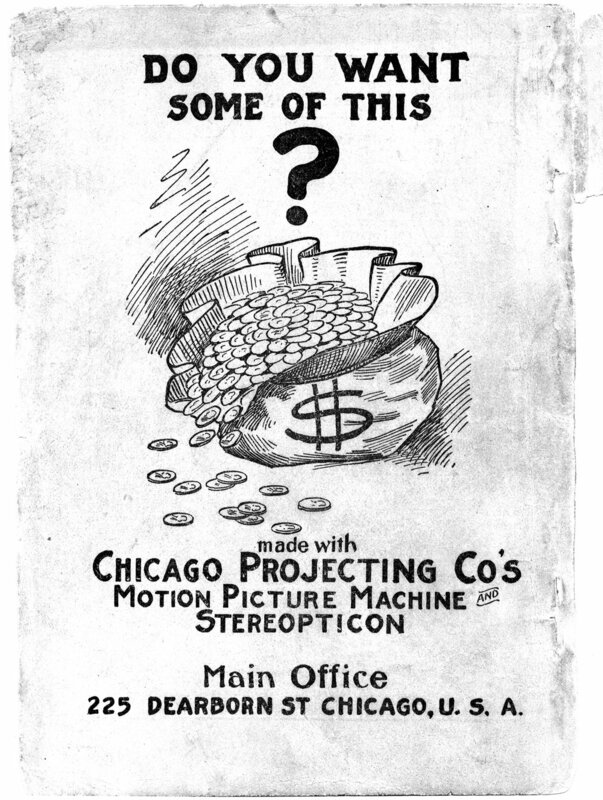 More Than 280 Motion Picture and Stereopticon Projector and Equipment Listings. 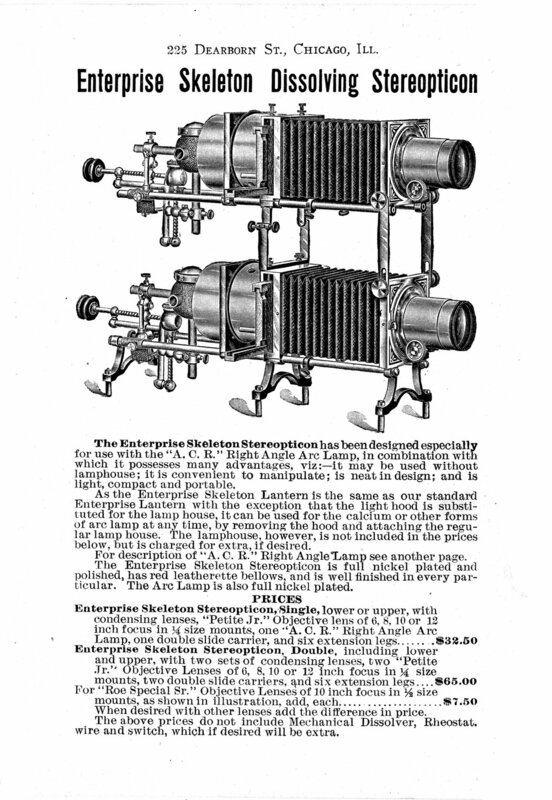 Optigraphs, Stereopticons, Graphophones, and much more! Introduction, Notes and Indexes By Darren Nemeth. All 334 original pages scanned and Photoshopped directly from the rare catalog. Entertainer's Supplies Catalog No. 122; Deluxe Edition" published in 2015. 438 Pages, Hundreds of Illustrations. With this book you will learn how to be a success as a traveling optical showman. Includes a detailed how-to business guide from 1906 and much more. 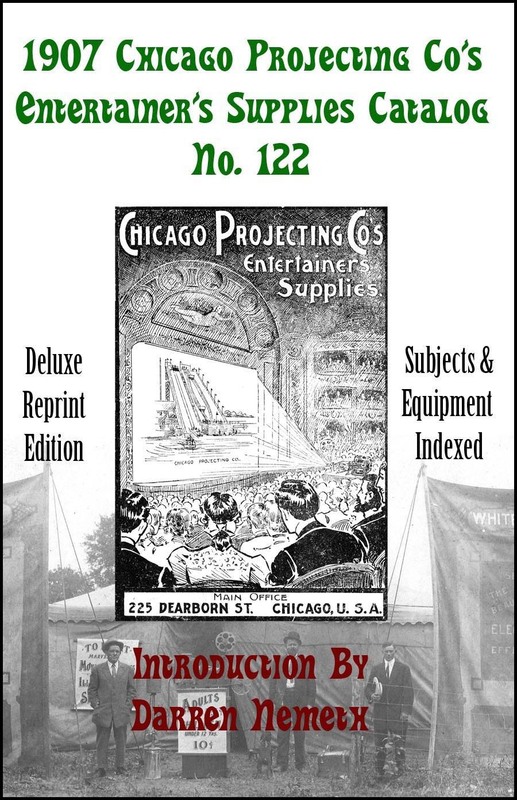 In 1907 when this mail order catalog was printed audiences were seeing motion pictures, stereopticon lectures and talking machine concerts through traveling showmen events. 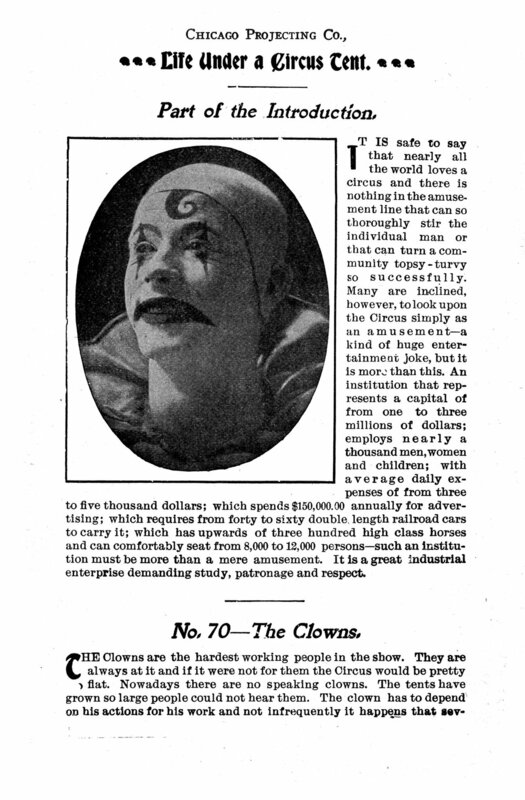 It was published several years before nickelodeons and vaudeville shows were about to edge out the independent traveling cinema trade. The spread of movie theatres throughout the United States was still a few years into the future. Each page of this Chicago Projecting Co. Catalog No. 122 has been scanned to uncompressed 600 dpi TIFF files and gently retouched. This extremely rare showman's catalog is now available for the first time since 1907. This carefully compiled edition shows everything you'll need to buy and know to operate and profit in the booming pre-nickelodeon traveling exhibitor trade!